Shoppers has a great offer this weekend! 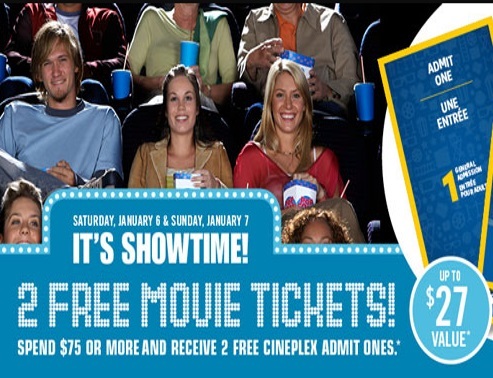 Get two Free Cineplex Entertainment Admit One Tickets ($27 value) when you spend $75 or more on almost anything in the store. Offer is valid Saturday, January 6-Sunday, January 7 2018. Changes are coming for the Shoppers Optimum program starting February 1, click here to read our post. Click here to view the Shoppers eflyer.